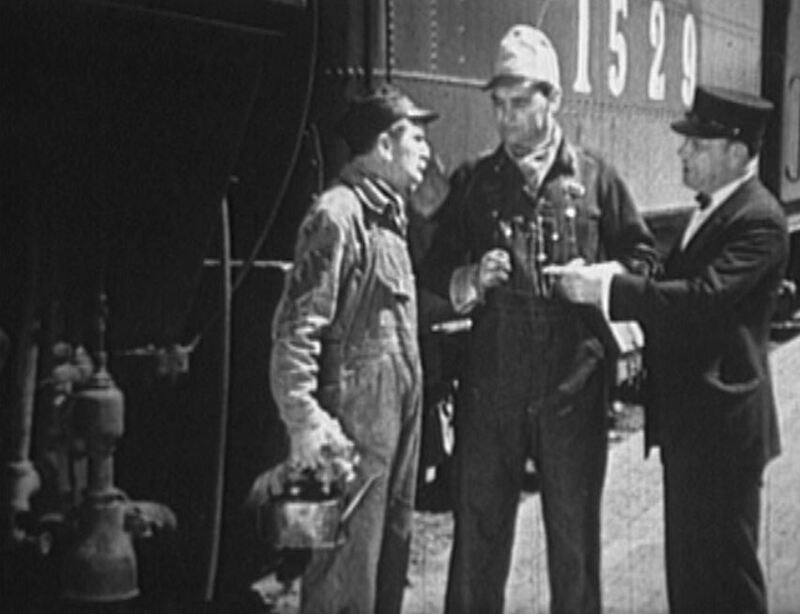 Jay Wilsey stars as locomotive engineer “Dynamite” Denny in this early talkie found in the dregs of the Amazon discount bin. 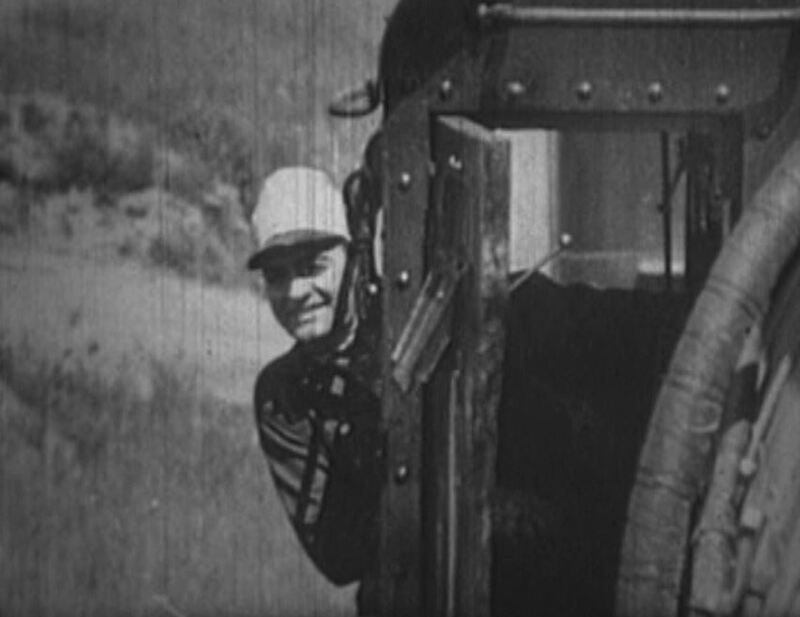 Despite his moniker, not much dynamite in this picture (nothing got blown up), but we do have a few decent scenes filmed along the Santa Fe Railway in Southern California. There’s trouble on the P.X. and V.P. Railway (Post Exchange & Vice President Railway? I have no idea…). Anyway. 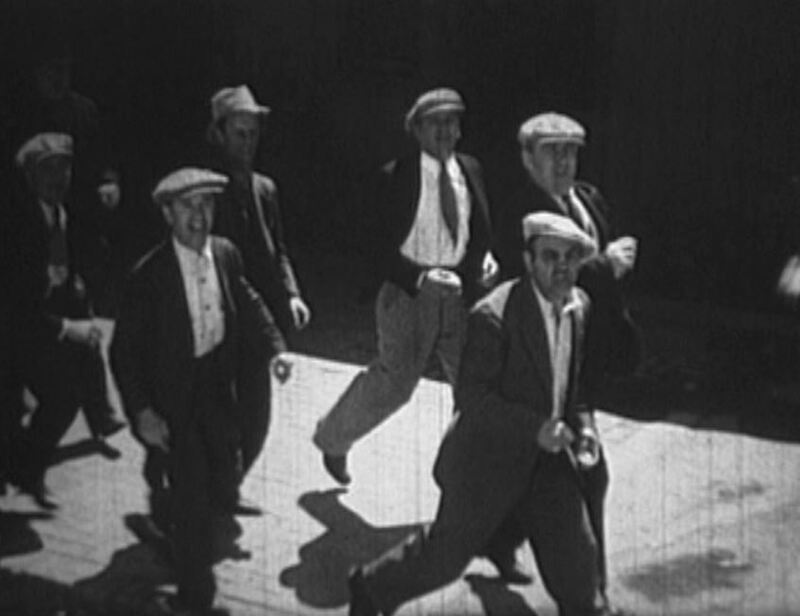 Union agitators are stirring up the operating crafts and talking strike. Denny wants to keep on working. Someone’s bound to get hurt! Let’s see what turns up in this low-budget train movie. 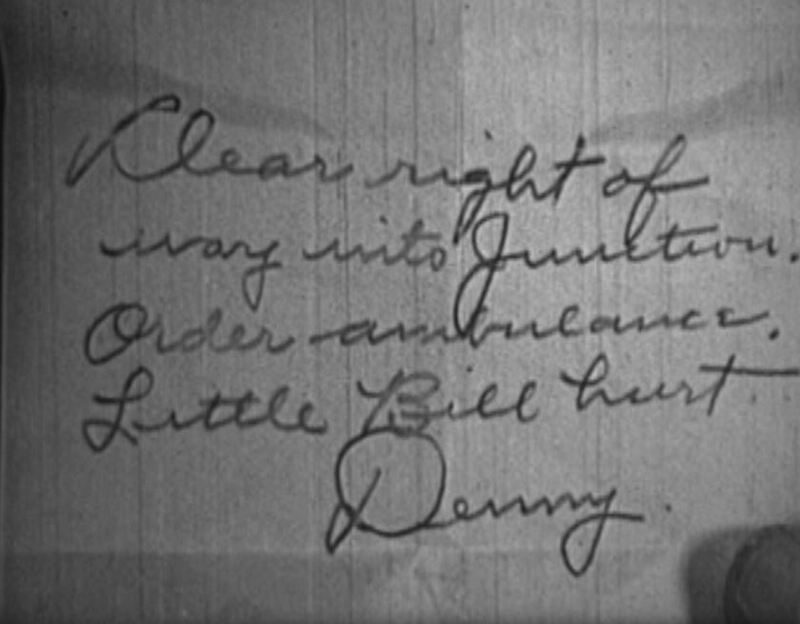 After hooping up the orders, Denny’s gal pal Mary Dayton (played by Blanche Mehaffey), gives him a big highball. It starts off happily enough. 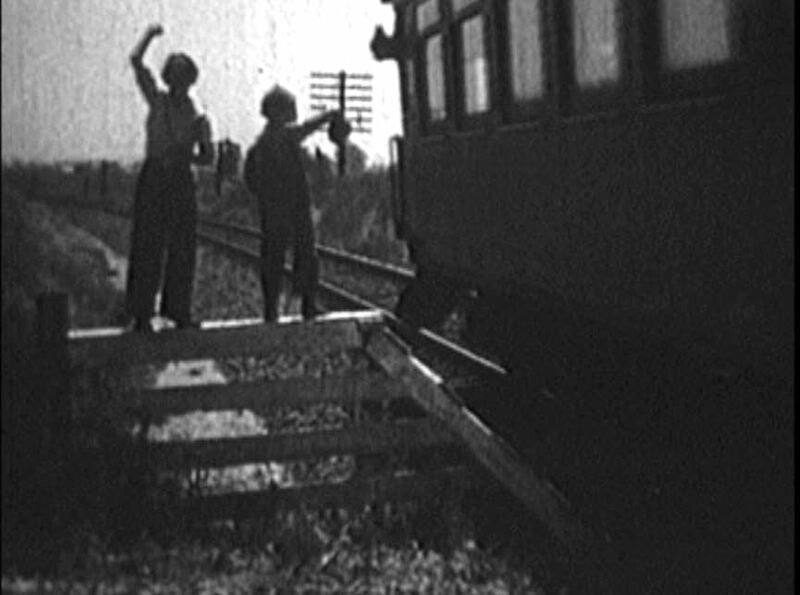 Engineer Denny is a hero to motorists and lineside urchins alike. 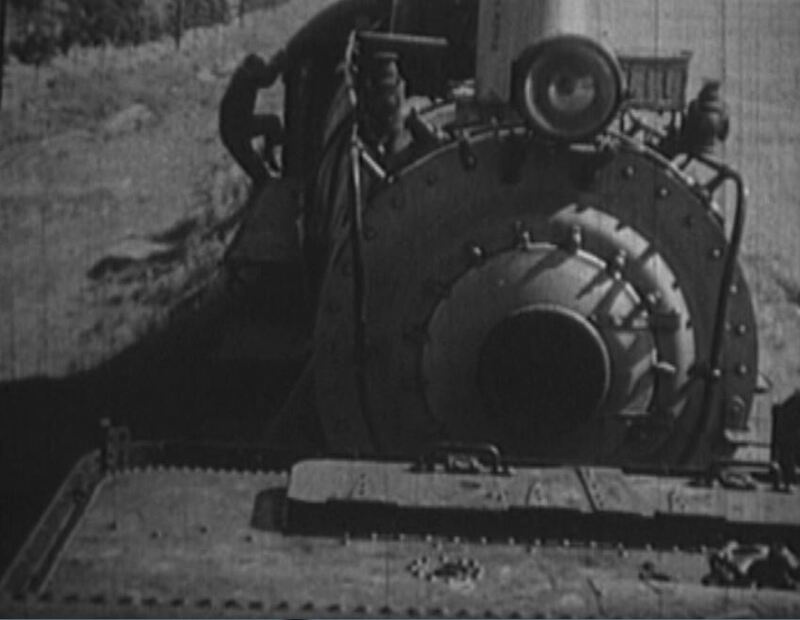 Note: The locomotive shown here (you can just glimpse the tender number) is AT&SF #1324, a 1337 class 4-6-2 Pacific type. Dynamite strikes a classic hogger pose; His fireman hands him a message (hooped up as they passed Mary’s station). It reads, “Hurry back for your birthday, Denny, and bring a bottle of cream with you — Mary”. 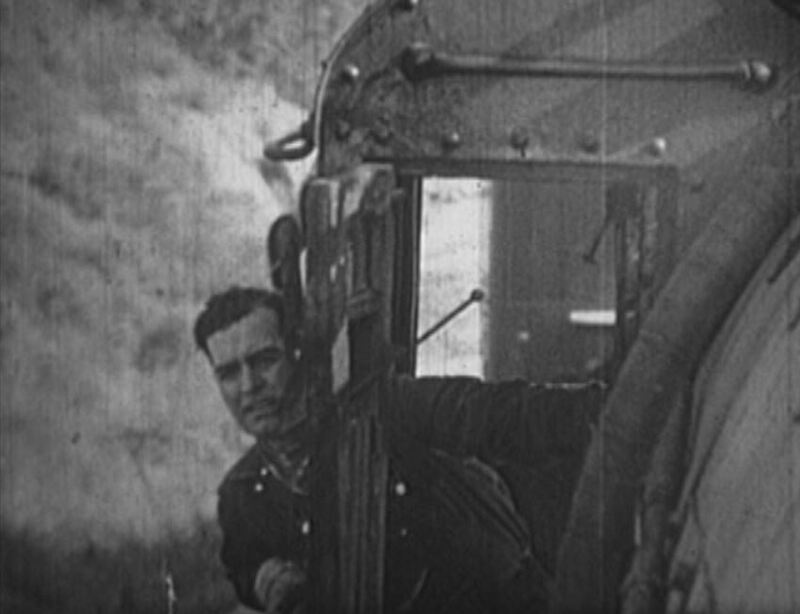 Hitching a ride on a speeder (note refrigerator cars in the background); Denny consults with his conductor and fireman before taking out the PX&VP #1529. 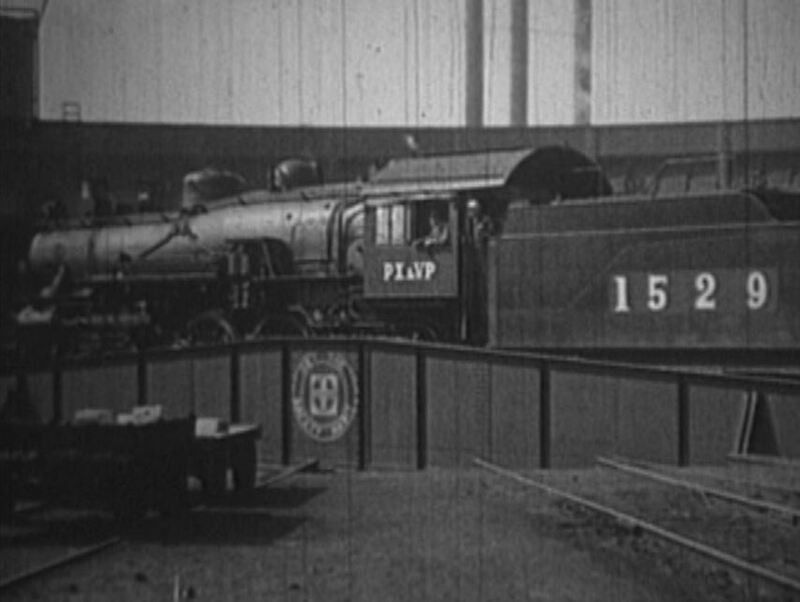 Notice: PX & VP #1529 looks like another Santa Fe 4-6-2 type passenger engine. 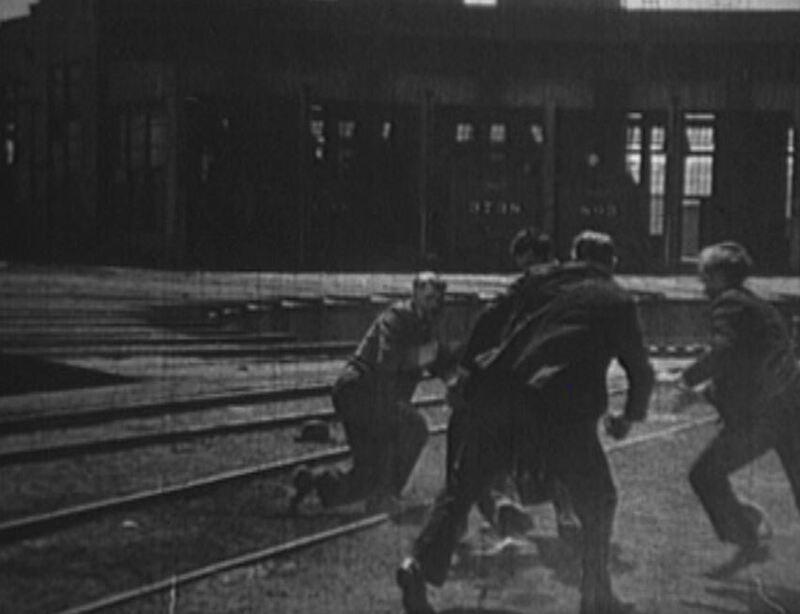 Union bosses talk strike to the membership; Denny takes out the next train anyway, to the great displeasure of the Brotherhood who run alongside throwing things at our scab, er…hero. I love all those snappy wool caps. Must get cold in Los Angeles. 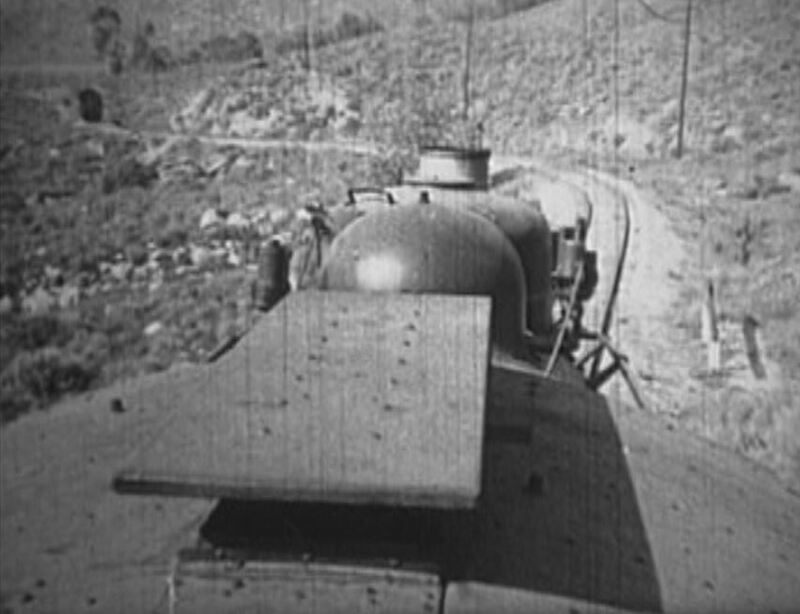 Denny turns his locomotive on a clearly-marked AT&SF turntable. I believe the words inside the logo say, “Try The Safety Way”. Uh-oh, disgruntled strikers are headed Denny’s way! 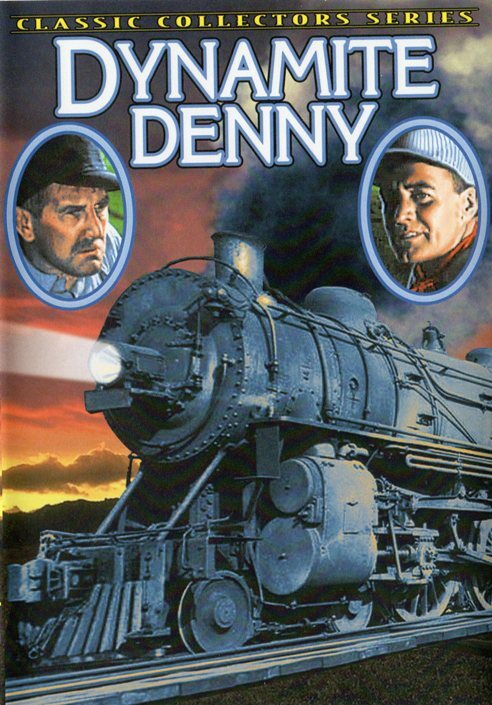 Denny walks the locomotive off the turntable only to be set upon by the mob! Big fight! 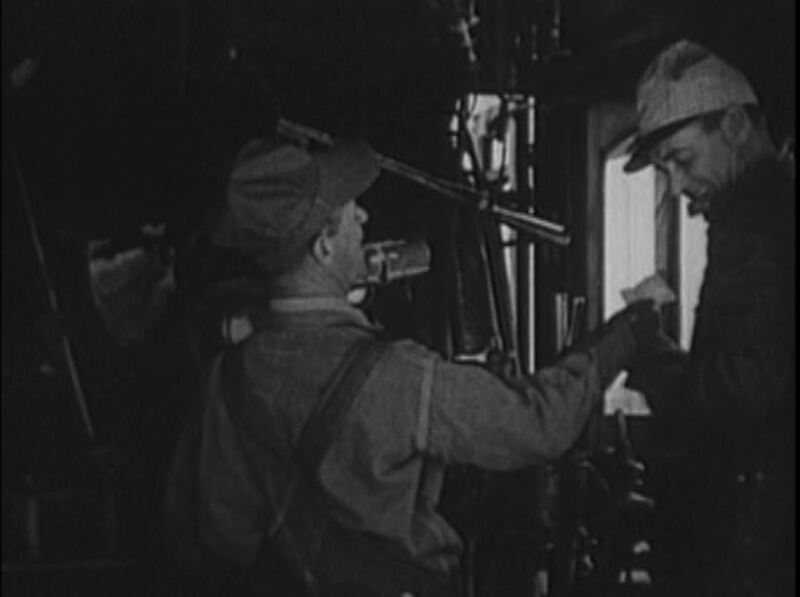 Denny manages to fend off the goons, but his fireman, “Little Bill” is not so fortunate. 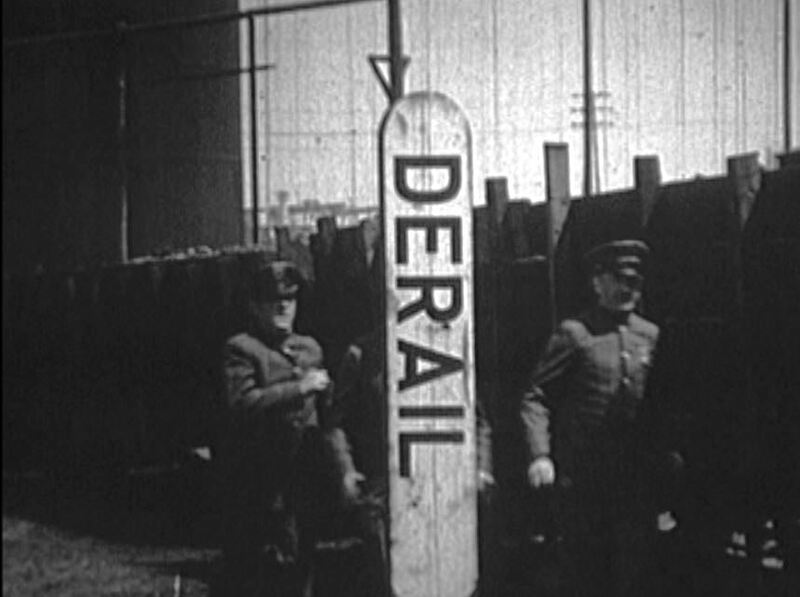 Too late, the police run to the rescue — past a very cool Santa Fe derail sign! Little Bill is hurt! 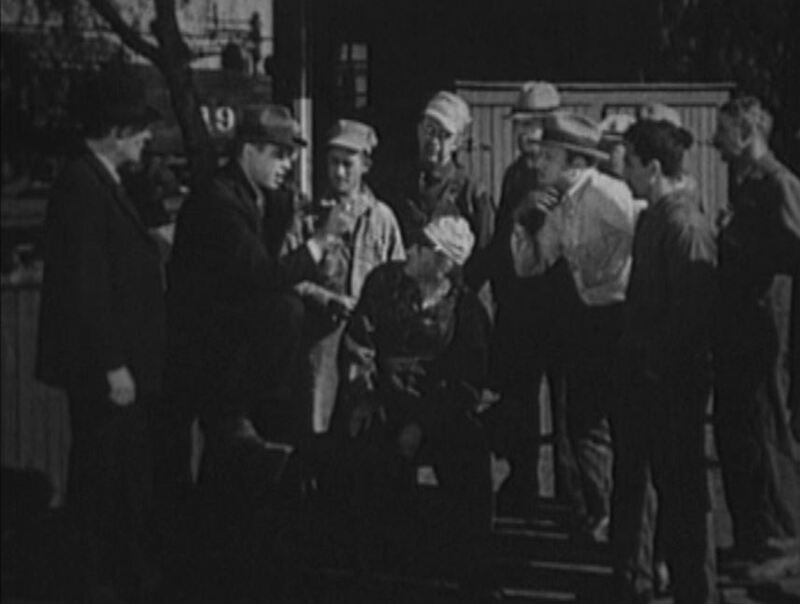 Yet another troublemaker jumps Denny, but he dispatches the miscreant with a right haymaker. Denny’s engine is running wild! 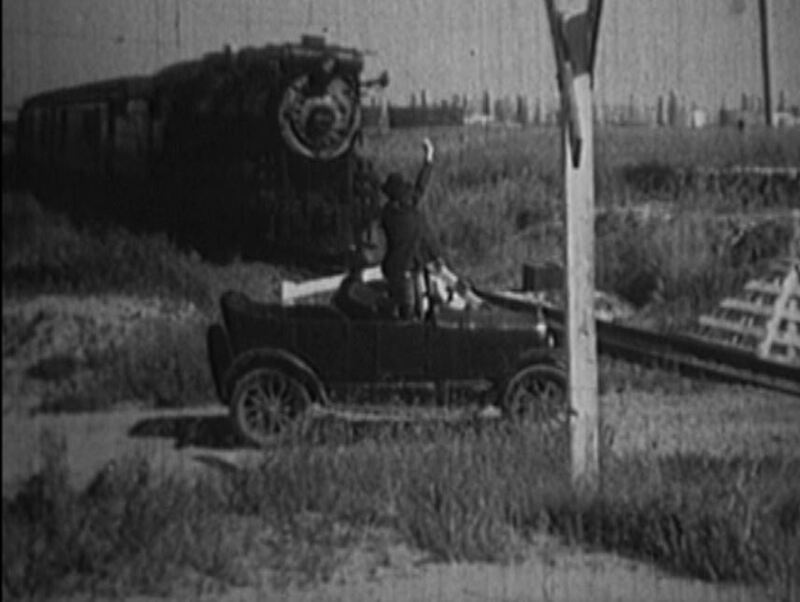 He quickly lines another engine out and follows in hot pursuit. 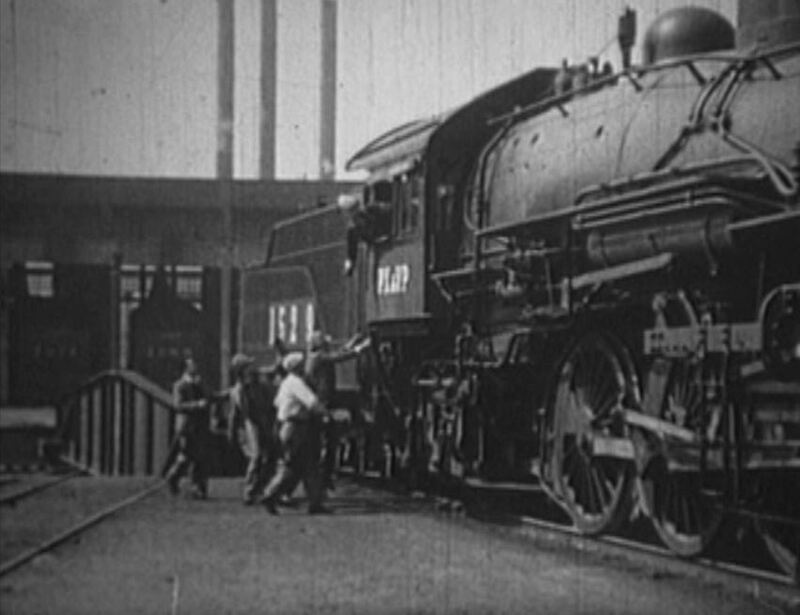 Finally he catches the runaway locomotive and clambers aboard. 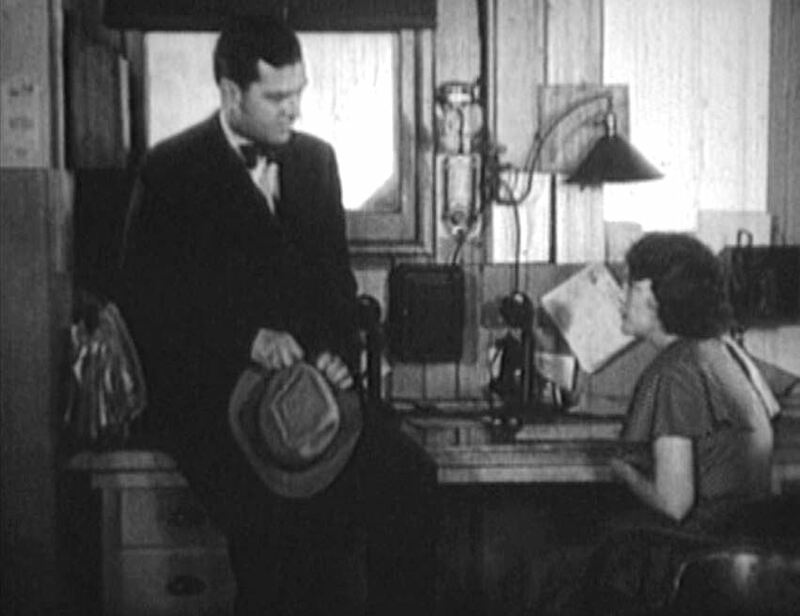 Now hat-less, Dynamite drops off a message to Mary. Clear the line! 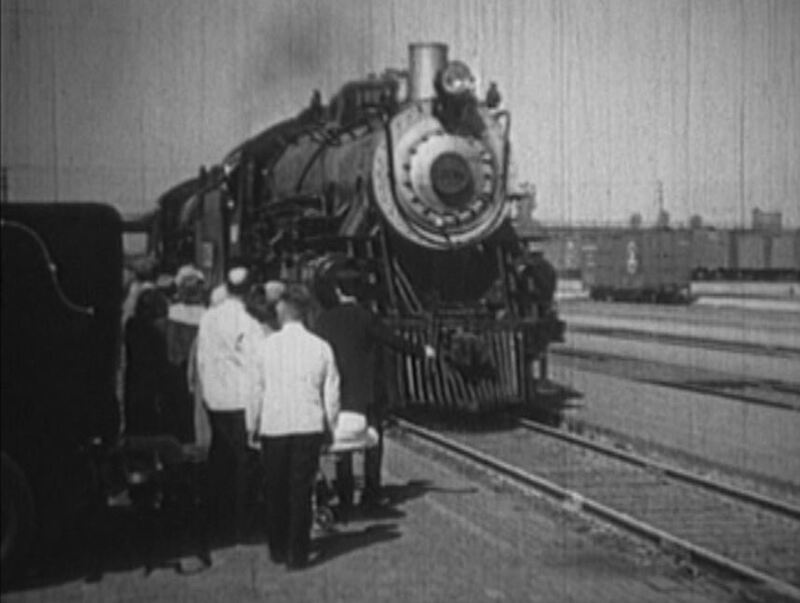 Reaching the station, an ambulance and stretcher await to haul Little Bill to the hospital; Hat in hand, Denny proposes to Mary, but… Mary won’t marry a railroad man! One more telegram. 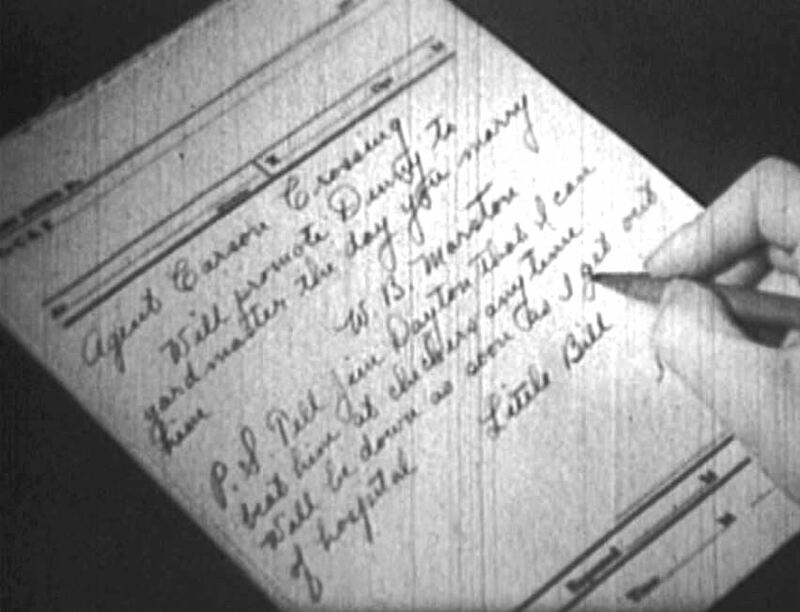 Mary is ORDERED to marry Denny from none other than Little Bill…aka W.B. Marston, the President of the line! ; My hero! Denny and Mary embrace as the credits roll. 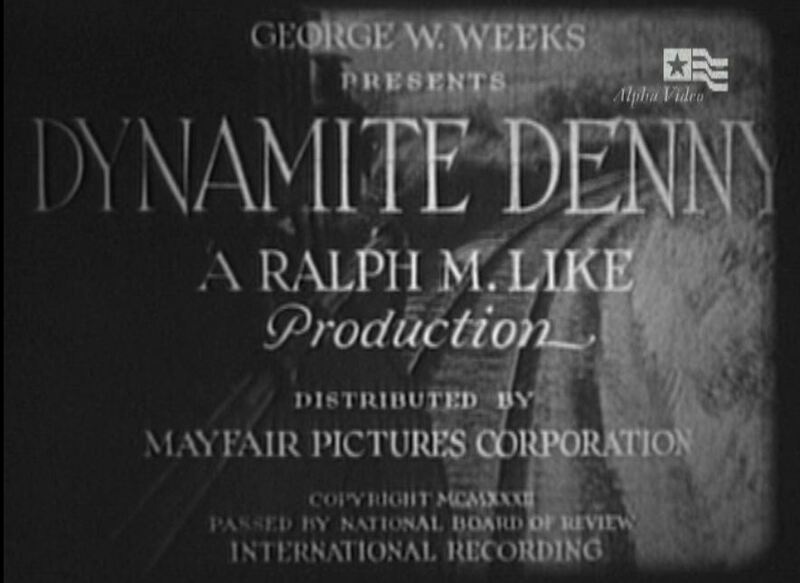 Dynamite Denny has its moments, but the dialogue is lots of “Oh yeah? Yeah!” and other trite expressions strung together. 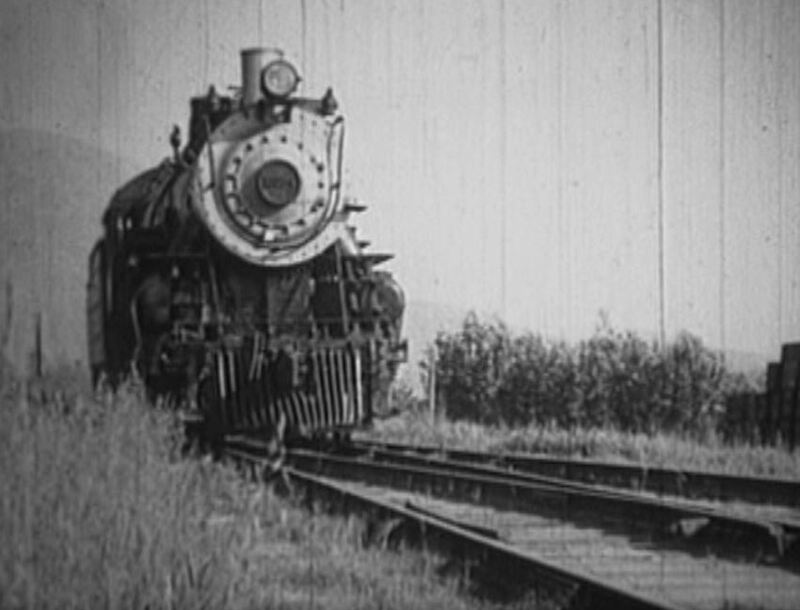 Luckily, there is a healthy dose of railroad action to keep our interest. 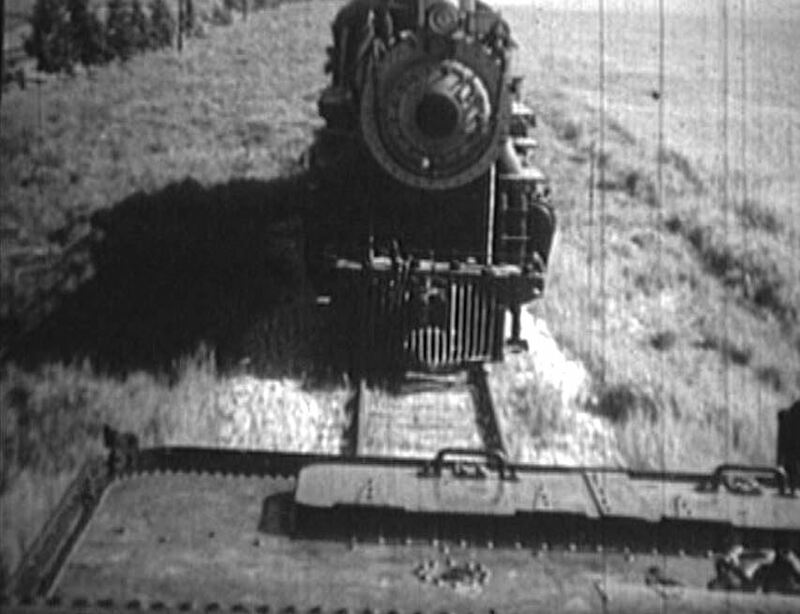 I particularly liked the two steam locomotives chasing each other along some old weed-grown Santa Fe branchline. Hey, what are you, anyway? A wise guy?? 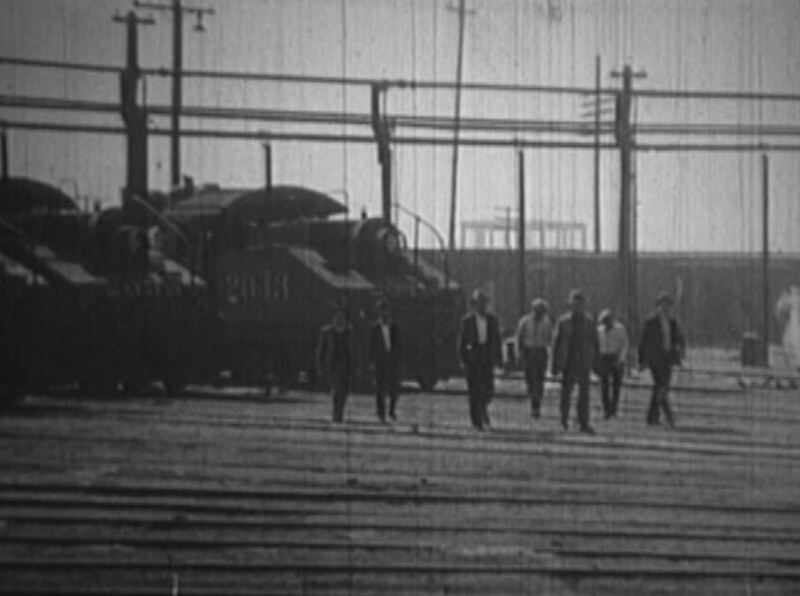 This entry was posted in Uncategorized and tagged Atchison Topeka and Santa Fe Railroad, Blanche Mehaffey, Dynamite Denny, Jay Wilsey, Mayfair Pictures, P.X. and V.P. 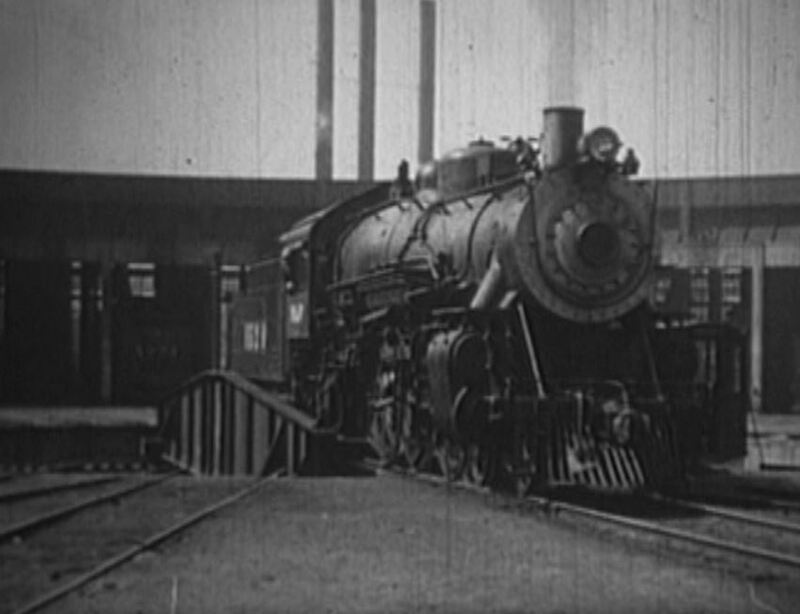 Railway, Santa Fe Railway, Steam Locomotive, William V. Mong. Bookmark the permalink.